First appearance of EVERGLOW in Radio! Girl group EVERGLOW appeared on idol radio to show off their colorful talking skills and charm. 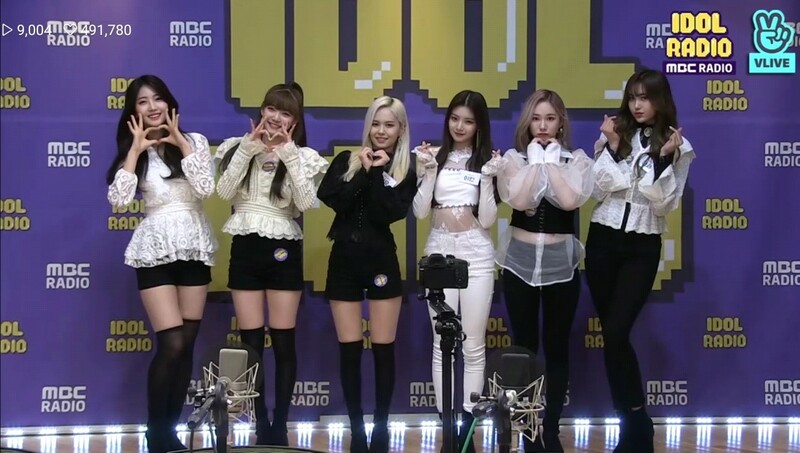 MBC Standard FM Idol Radio, which aired at 1 a.m. April 4, is the first radio appearance by EVERGLOW, said "We will be the idol that brightens the world like a white night without sun. I'm determined to win over listeners with a variety of charms,"
The two line diary of rookie EVERGLOW, which celebrate 17th day of their debut, gave a glimpse into each member's candid feelings of gratitude for their fans and their fans. EVERGLOW said "It was the first appearance on the radio, so We were nervous and excited, but since it's our first time, I think it'll be more interesting and unforgettable. Thank you for leading us well,"
Attention is being paid to EVERGLOW's activities, which will be flying with splendid performances on the 17th day of their debut, following the occupation of overseas charts such as Billboard and iTunes.